Lauri is a widely respected expert and frequent speaker on the issues of directors & officers liability and cyber liability. 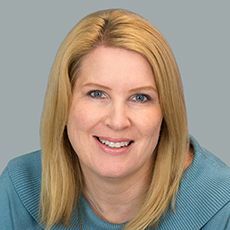 She has developed her expertise surrounding complex privacy breach claims and innovative Cyber Liability solutions, and has extensive experience placing D&O programs for public companies of all sizes, including NASDAQ 100 and Fortune 500 companies. Trying to find coverage for the consequences of a cyber incident on non-cyber policies is a gamble. And as silent cyber coverage disappears, it is increasingly important to work with a broker that understands how the fallout of a cyber incident impacts all of your insurance policies. During the recent Private Equity International conference in New York, two things became abundantly clear to those in attendance: Cyber security risks and exposures continue to evolve and new threats are emerging on an almost daily basis in 2019 and CFOs and COOs of private equity firms are growing more aware of not only the risks to their funds, but also their responsibility as stewards of the fund assets to protect those them from the ongoing and emerging threats. It's not just the job of IT staff to ensure online safety at work. A culture of cyber security includes ALL employees knowing how to protect themselves and the organization while striving to understand how cyber risks change as the business grows or adds new functions. Dan Burke and Priya Cherian Huskins, Esq. GDPR Liability and Fines: Will My Cyber Insurance Cover Them? When the General Data Protection Regulation (GDPR) goes into effect on May 25th, significant new obligations will be placed on companies doing business in the EU or with European citizens. Adopted in 2016 after a lengthy debate among EU member companies, GDPR goes far beyond the data breach notification requirements that we are familiar with in the US. 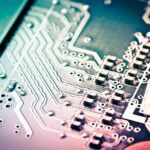 The Intel Chip Flaw: What Does The Biggest Cyber Security Flaw Ever Discovered Mean For Cyber Insurance? 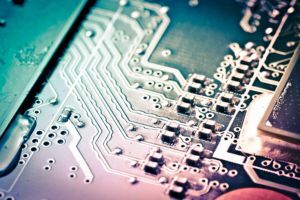 Reports this week of a staggering security flaw in processor chips from Intel, ARM and potentially other major manufacturers have prompted a new round of the (by now) age-old question: Would this be covered by cyber insurance? With yet another high profile data breach in the news, we are constantly reminded that every company has data that can be compromised and exposed. As businesses become more reliant on internet-connected solutions and remote access systems, we all become more vulnerable to data breaches. In the summer of 2017, a breed of ransomware known as NotPetya stepped onto the scene. Although NotPetya mainly attacked companies in Ukraine, scores of other countries were also targeted. Perhaps the most disturbing aspect of the NotPetya attacks was that no one seemed to be immune. However, that doesn’t mean you can’t take steps to protect your company against future attacks—let’s find out what you can do.